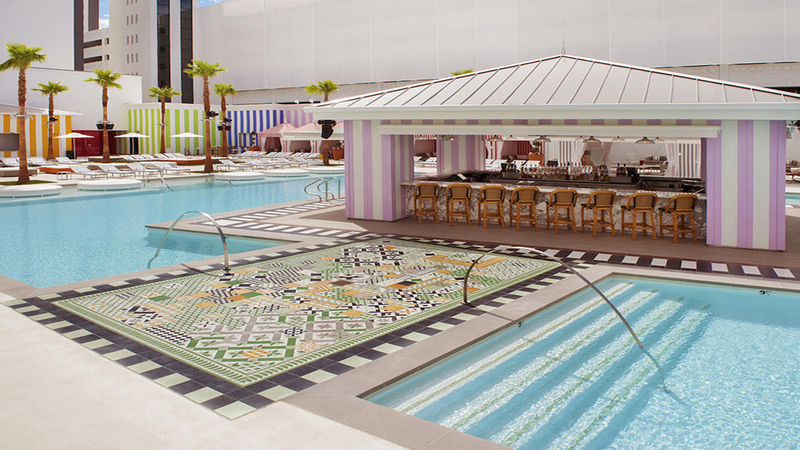 Taking over the sacred space of the old Sahara resort deck, Foxtail Pool Club emerges as the pedigree pool club of SLS Las Vegas. Coming to the game later than major players like Encore and WET Republic, Foxtail emerges with a cutting edge design that enwraps the space in a 3D digital display that comes alive once the sun has set. 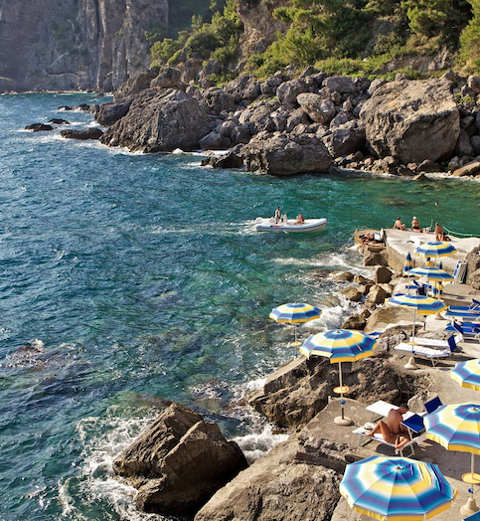 By day, however, a wet and whimsical wonderland is decked-out in striped cabanas and marble-trimmed bars that lend a tropical feel to the all-white loungers and mosaic tile inlay that's a design step ahead of the competition. The space connects to Foxtail lounge, a more gentile cocktail space trimmed in tufted leathers and rock-and-roll Regency vibe. Weekends feature a series of signed DJ exclusives that include names like Steve Angello of Swedish House Mafia. Smaller than many of the strip’s other VIP pool clubs, service tends to be better as well as the crowd control that caps at 2,000 guests. A total of 25 private cabanas, 20 daybeds and 12 lily pads offer private seating options with cocktail service and VIP amenities as well as seaside-inspired food menu by chef Luke Forzano.